Students at Cal State Long Beach protested a conservative group's appearance on campus Tuesday. File photo. 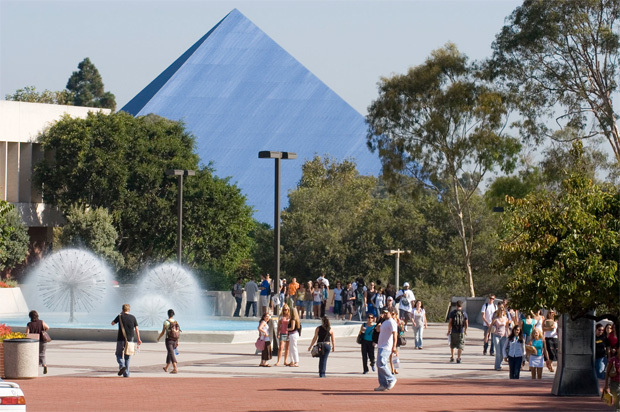 Cal State Long Beach ranked highest among CSUs in the state, coming in at No. 22 nationwide. Other Southland schools on the list include Caltech in Pasadena, ranked 12th; Cal State Dominguez Hills in Carson (45); Cal Poly Pomona (47); Pomona College (71); Cal State Fullerton (84); Cal State Northridge (89); Claremont McKenna College (106); and USC (113).